The Arizona Cardinals signed offensive lineman Mason Cole to a four-year contract, the team announced Thursday. Cole, a third-round selection out of Michigan, was the final member of Arizona's six-member draft class to reach contract terms. "Obviously, it's really exciting," Cole said, per the team's official website. "Once you get drafted, you're waiting for this point to officially sign. Really grateful for the opportunity, and just excited." Cole set a school record for an offensive lineman at Michigan by making 51 consecutive starts. He was the first true freshman in school history to start on the offensive line in a season opener. 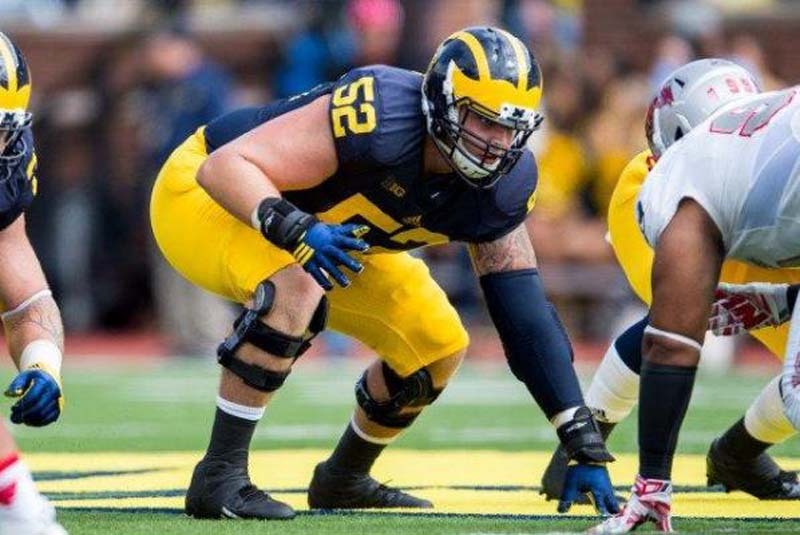 The 6-foot-5, 307-pound Cole played three seasons at left tackle for the Wolverines, earning All-Big Ten honors as a senior. He also was a second-team all-conference pick after starting 13 games at center in 2016.